Kankakee, Illinois | November 10, 2010 | Rick A. Patrick, Owner and Operator of The Music Group, has been recognized by Elite American Artists for his dedication, experience and leadership in music production. As the Owner and Operator of The Music Group, Mr. Patrick manages operations, oversees music production and recording, promotes artists for recording, and produces and releases CD’s through ReverbNation. Dedicated to helping others achieve their goals in music production, Mr. Patrick attributes his success in his over 41 year career to his love and passion for music. Mr. Patrick began playing the guitar and performing with his brother Larry at local churches at the age of 7. When he was 14 years old, he met a steel guitar player named Kenneth ‘Dusty’ Nall, who would become his first band mate and a lifelong friend. Mr. Patrick formed his first band in 1971 and started playing at local clubs. By 1983, he was a business manager and member of a top Chicago radio station band that toured and performed with many major stars. Returning to his original band, Mr. Patrick wrote a song that became a big hit on local radio. Today, the band remains intact with the exception of Dusty Nall, who passed away in 2009. With a lifelong passion for music, Mr. Patrick began The Music Group in 2006. After over four decades of experience in the music industry, Mr. Patrick advises for others to always believe in what you are doing and always try to create and play music your way, at least once. 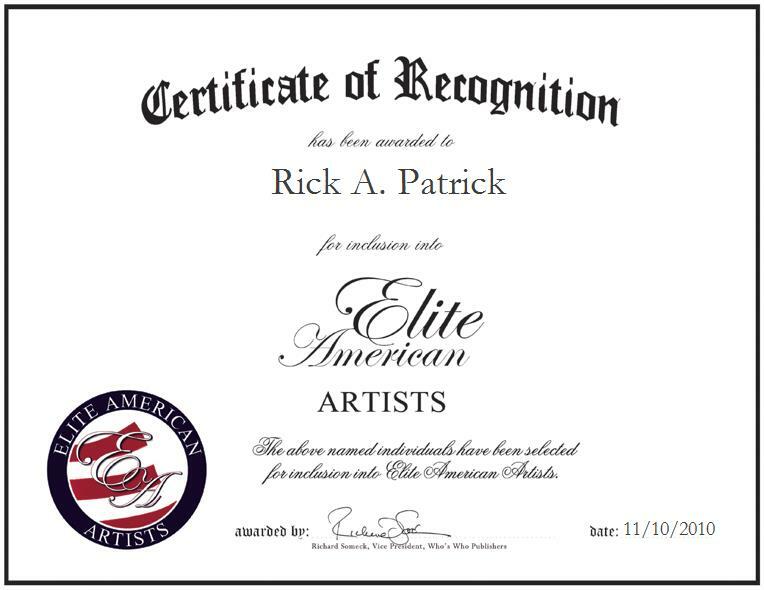 Mr. Patrick has had the opportunity to work with such eminent artists as Waylon Jennings, Hank Williams Jr., Gary Morris, and B.J. Thomas. He earned a Bachelor of Arts in music from Berklee College of Music in 2008. He holds a Cakewalk Sonar certification and retains affiliations with the Music Academy, the Harry Fox Agency, Broadcast Music, Inc., Nashville Songwriters Association International, SoundExchange, and Alliance of Artists and Recording Companies. In his free time he volunteers with the United States Department of Veterans Affairs and United Cerebral Palsy. For more information on Mr. Rick Patrick and The Music Group, please visit http://www.themusicgroup.biz.